National Assembly deputies yesterday voiced their opinions about the government's supplementary reports on several socio-economic development plans' implementation in 2014 and early 2015. The reports, introduced by Deputy Prime Minister Nguyen Xuan Phuc on the first day of the ninth session, May 20, largely received their approval. The reports covered Viet Nam's economic and production health, highlighting the 5.9 per cent GDP growth since last year, the highest growth rate since 2011. The reports cited stabilization of the macro economy; a 1.84 per cent increase in the consumer price index (CPI) - the lowest rate in years; and the third consecutive year of trade surplus as examples of economic health. The reports also mentioned that last year's poverty rate reduced by 1.83 per cent; a sign that the effects of economic growth are trickling down. The country's GDP looked strong in the first quarter of this year, rising by 6.03 per cent. The export turnover also looked promising, surging up 8.2 per cent. Despite the deputies' support of the reports' positive economic outlook, they expressed worries about farm products and farmers' livelihood. Deputy Ha Sy Dong, of central Quang Tri Province, said that Viet Nam's agriculture is trying its luck by selling its products for very cheap. He feared that the situation is unsustainable; farmers, who are already forced to sell products at low prices, will suffer even more. Vietnamese farm products have already depreciated and lost their hold in several markets in the past year, he noted. He questioned the assembly, "What has been done for the agriculture sector during the restructuring process?" The question was followed by a direct urging of the agriculture, and industry and trade ministries to help Vietnamese farm products enter markets in Russia, Belarus and Korea. Deputy Do Van Duong from HCM City followed with some criticism, stating that the solutions the Government offered were only on a macro level, neither practical nor persuasive. Drastic measures are necessary to boost farm product exports, he said, adding that Viet Nam should strengthen co-operation with countries that have hi-tech agricultural industries like Japan or Israel. Deputy Nguyen Cao Phuc, from central Quang Ngai Province, chimed in saying that Vietnamese products, particularly farm products, will also face tougher competition in light of recent trade agreements. "The Government should have strong policies to generate investment in food maintenance – especially in seasonal products- persify products, increase values and prolong consumption time," he said. Deputy Tran Duong Tuan from Ben Tre Province concluded that agricultural restructuring could kill several birds in one go - change modes of production, persify products, increase values and expand markets. "Agricultural restructuring is not only the task of the Ministry of Agriculture," Tuan said, urging further co-operation between ministries and more support policies to further engage enterprises in the sector. In the afternoon, NA deputies voiced concern over the current trade deficit, Government budget overspending, rising public debt, insufficient investment in infrastructure development as well as difficulty in raising production. "The Government must continue to push for more administrative reforms, step up the fight against smuggled goods and also come up with ways of helping small-to-medium sized businesses prepare for global integration," said deputy Tran Hoang Ngan from HCM City. Deputies also noted that in recent years Vietnamese exports had faced numerous challenges as the country was slow in implementing technological advances to allow them to compete better. They urged the Government to encourage businesses to invest in technological innovation - and develop support industries and co-operative models in agricultural production. 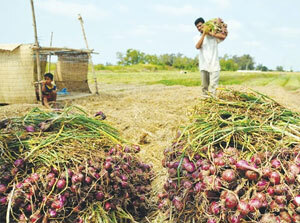 "There is a gap in bargaining power between farmers and agricultural product merchants. Co-operative models could help farmers gain some negotiating power on selling their produce," said deputy Nguyen Thien Nhan from northern Bac Giang Province. Addressing a question on the development of fisheries, deputy PM Vu Van Ninh said the programme to provide fishermen with financial assistance to build steel fishing boats was moving ahead. 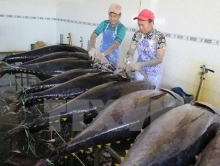 A report from the Ministry of Agriculture and Rural Development showed 648 new fishing boats were registered under the Government programme by the end of May. Of these, about half were steel hulled boats. Minister of Planning and Investment Bui Quang Vinh said the Law on small-to-medium sized enterprises, which would be introduced next year, would provide support for 95 per cent of the total number of businesses in Viet Nam. In an effort to make Viet Nam a more popular destination for international tourists, the Government has been designing a programme to expand marketing activities and improve service and human resource quality for the tourism industry. It was also working on a policy to offer unilateral visa exemption for tourists from many countries./.